Irishmen in Citroens first and fourth after SS7! 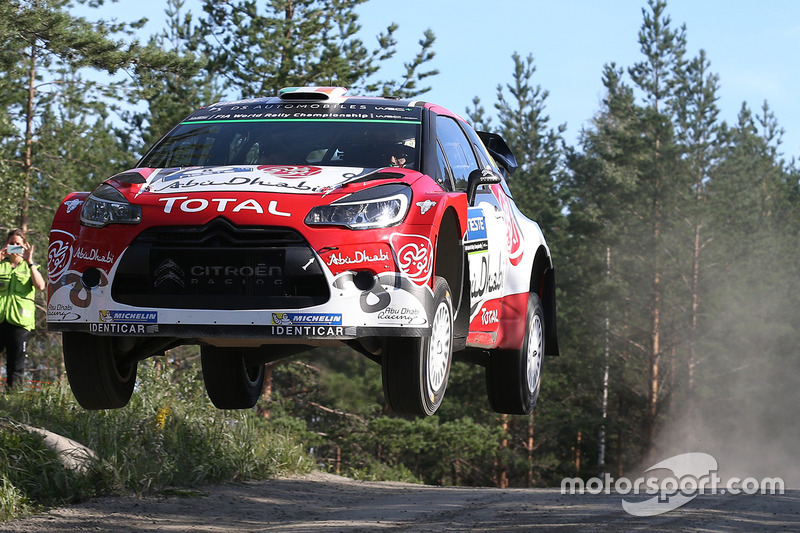 A stunning time from Meeke on the Ouninpohja stage deflated Latvala. Very impressive driving from Kris. Breen is really shining, but only 20.6 between the podium and 7th with Tanak only 9.1 behind Craig. An exciting 4 stages (35km) in the morning! Brilliant result for the boys, so pleased for both crews . Craig kept his composure very well to finish third with Neuville and Paddon piling on the pressure while Kris's drive was up there with the best. The Ouninpohja stage will be talked about for a long time but Kris was impressive throughout and kept things nice and tidy for today. Nice to see that the DS3 is still a very competitive car in the right conditions. Superb result! Delighted for both drivers. What would Citroen (and Meeke in particular) have done if they had done if theyd done a full season. Just shows when the pressure is off Kris can go for the win and not just team points and he can do It. All good news for next year in the new car. Having listened to Craig Breen in a forum in Spain last year talking about his ambitions and frustrations, 3rd in Finland is a terrifdic result. Sorry Mr Ogier it is more exciting when you dont win every rally!!! Incredible result for Kris & Paul and Craig & Scott, no one could have foreseen this result! Finland is the ultimate and Kris has won it, his confidence must be sky high every time he sits into the Citroen these days and even better the VW boys must be considering him a serious threat for the Championship next year as well as every other rally he does this year, which is great. Craig Breen has really blown everyone away with his confident display, even when he had 4 experienced WRC regulars around him and throwing everything at him, he stuck to his style and got an unreal podium. If Citroen don't tie him down for next year, I got a funny feeling there may be a seat in another team for a young fast driver for next year!